If you have ever wondered What to do in Kotor in Montenegro for a day, we will share our experiences with you. Kotor, in Montenegro, is known as the Bride of Adriatic and is ethereally beautiful from the moment you enter Boka Kotorska. Kotor was a city of traders and famous sailors, and many legends abound in this city, but now tourism drives its economy. Read more about the Bay of Kotor here. Why were we visiting Kotor in Montenegro? 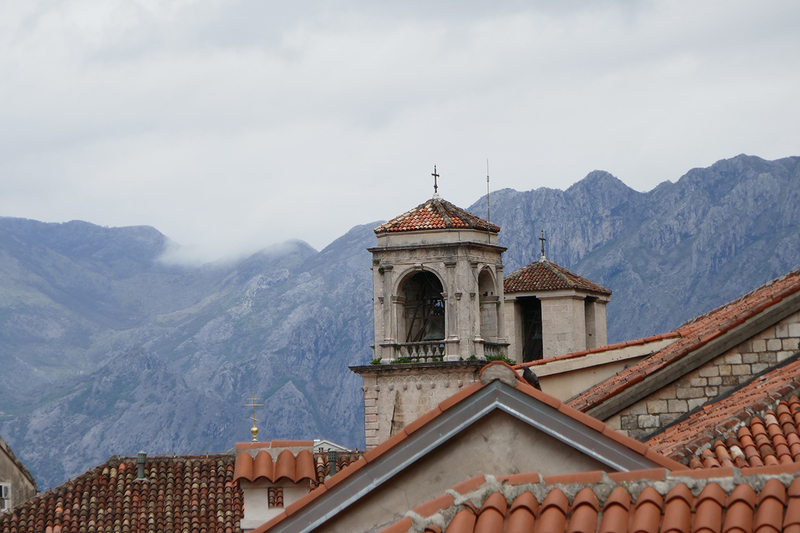 1 Why were we visiting Kotor in Montenegro? 2 Where is Kotor in Montenegro? 7 What to do in Kotor in Montenegro for a day. We woke very early on the day our cruise ship M.S Koningsdam was arriving in Kotor in Montenegro because we had been told that the passage into the city, through Boka Kotorska was one of the most spectacular vistas to witness. They were correct. We glided through staggeringly massive mountains with little villages hugging the shoreline. It was as if we were going through a fjord in Norway, or to Alaska. I was not quite expecting that Kotor in Montenegro would be so very stunning. Though I did have a small clue. My knowledge of Montenegro was limited. I remember being made to watch the movie Casino Royale, and the final scene showed Daniel Craig overlooking what I considered to one of the most beautiful places I had seen. When I googled this, it turned out that is was ostensibly Montenegro, so this country immediately went on to my list. However, subsequent research says that it was not filmed in Montenegro at all. Director Martin Campbell later joked: “I have never been in Montenegro but I hope that now their tourism will erupt. If that happens I expect a reward.”… and guess what, it is working. 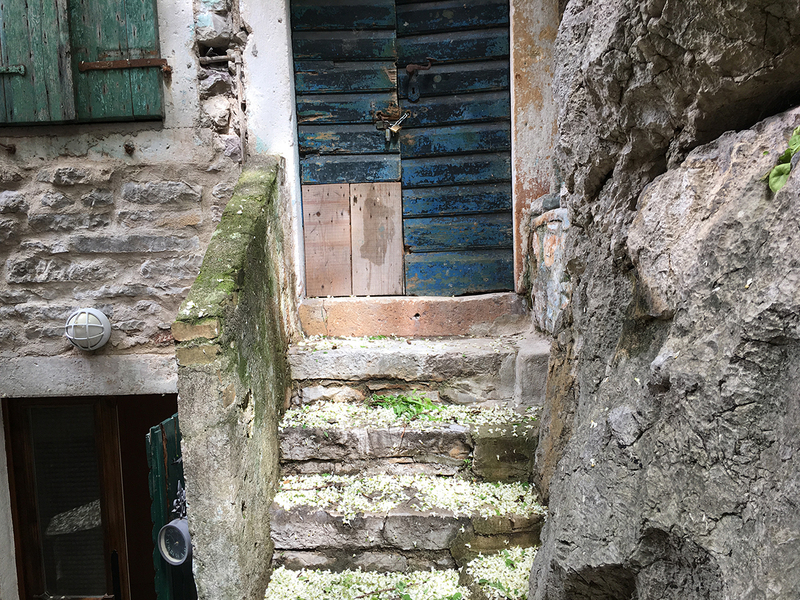 Our arrival and subsequent exploration of Kotor confirmed that regardless of where the film was made (and I do now) that Kotor in Montenegro is indeed a beautiful place to visit. 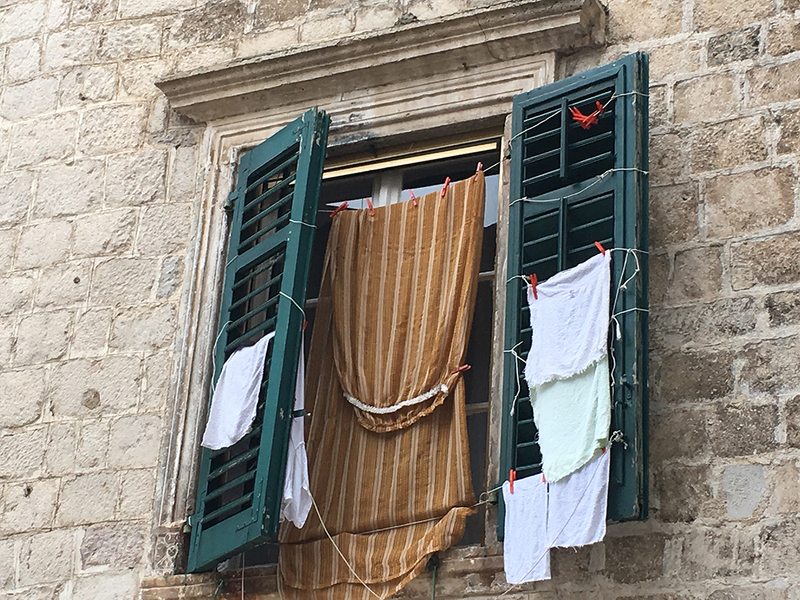 Apparently, I am not the only one overwhelmed by the natural beauty of this country, as it is a part of the UNESCO World Heritage Site of the Natural and Cultural-Historical Region of Kotor. Where is Kotor in Montenegro? 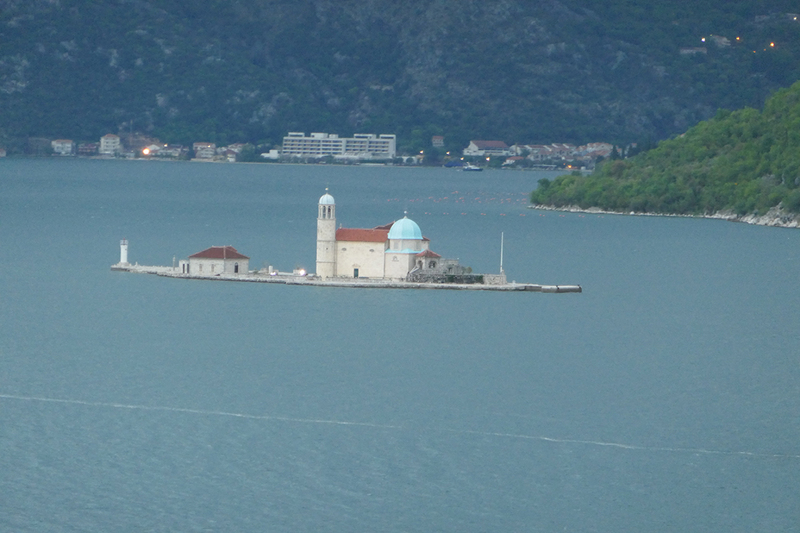 Kotor is on an inlet of the Adriatic seas. The capital city of the Montenegro is Podgorica, which is about 85kms inland from Kotor.Kotor is south of the lovely country of Croatia, where we had spent the previous day exploring the Old Walled Town of Dubrovnik. 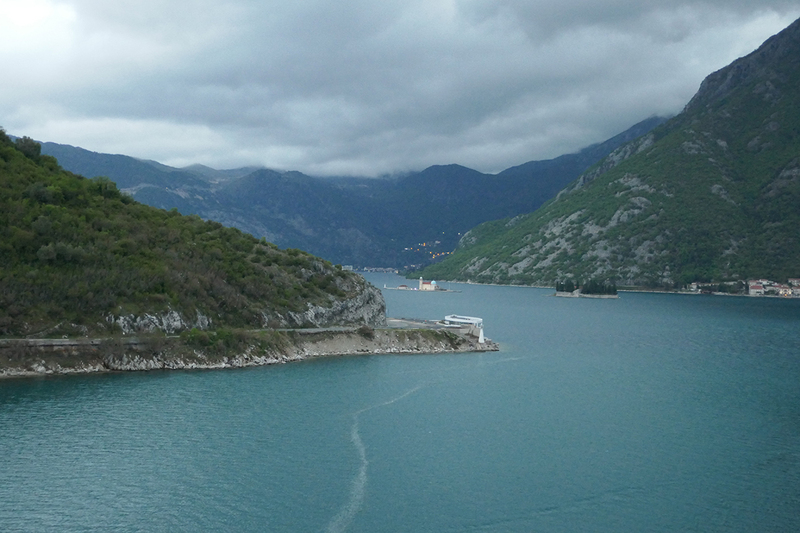 The towering limestone mountains of Lovcen and Orjen greeted us as we glided into port. 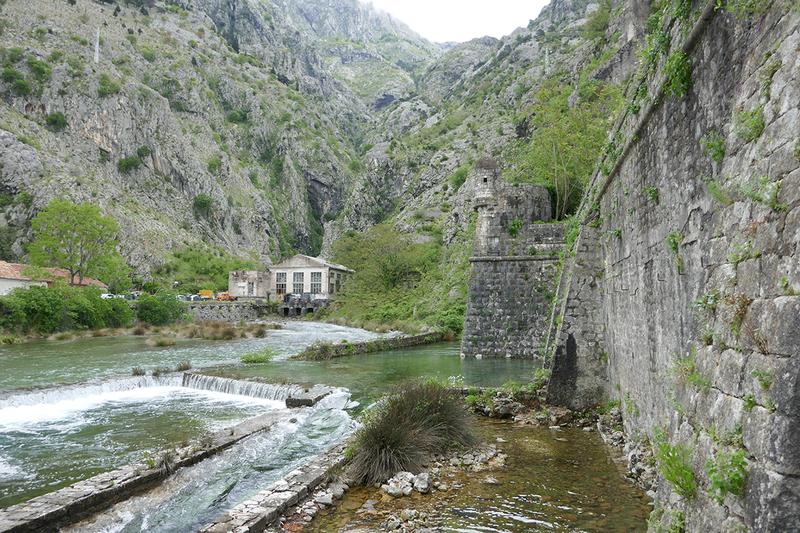 Dobrota is just 5 minutes outside of the Old City of Kotor. Here is the legend of its foundation. Two travelers, who were traveling around the world, came to the grey sea. As they were already exhausted from the long trip, they sat on some kind of a rock to get some rest and to refresh themselves. One of them moved a little bit to the side and noticed a plaque with some inscription on it. The inscription said: “Measure 10 lengths dig and stop”. When they read that, they wondered what could that be, so they started to guess together what that instruction could mean. At one moment they came to an idea to measure ten lengths with the plaque, and so they did. When they measured the required length, they started to dig a small hole in the ground, and they found some kind of a small chest.They tried to open it, but to their astonishment, the chest opened by itself. At the bottom of the chest with golden letters, it was written: “this is everyone goodness.” For a long time, they thought what they should do?! Whether to stay where they are or to continue their journey? Still, as the message was like some vow, they stayed in the place where they have found the message. At the same place they quickly made a cottage and went to sleep. That is how Dobrota and Kotor, were founded. The ancient wall, which is a popular if rather steep walk, climbs the mountain and gives a beautiful view over the town and the Adriatic peninsula. The wall was built to protect the city by The Republic of Venice, though looking at these precarious mountains, it would seem difficult for anyone to attack from there. However, many tried because they wanted this very beautiful place for themselves. Here we saw Our Lady of the Rocks. Legend says that fishermen threw rocks into the water keeping up with an ancient oath, which was that every time they returned from a successful voyage, they laid a rock in the Bay. This island was therefore formed, and now has a small church and historical paintings. Our approach from the cruise ship was by tendering – a term that as a novice cruiser I had not heard. This meant that we were shuttled by the lifeboats to the shore, which was only about a kilometer away. This is because the water at the wharf was not deep enough for the large ship to berth. It was a novel experience. You will be greeted by many taxi and tour operators. This appears to be normal when you arrive by a cruise ship .. she says … as a virgin cruiser. 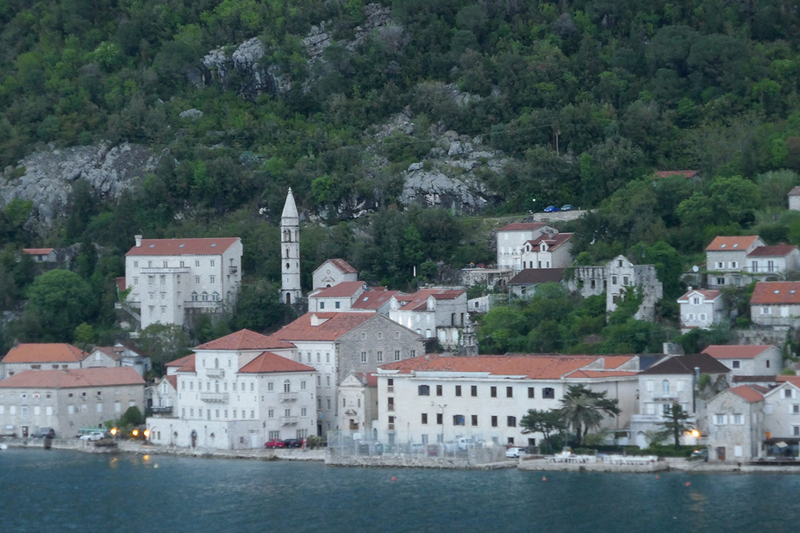 Then I wonder why the men of Kotor in Montenegro are so tall … and they are. I am not so I notice these things. What to do in Kotor in Montenegro for a day. 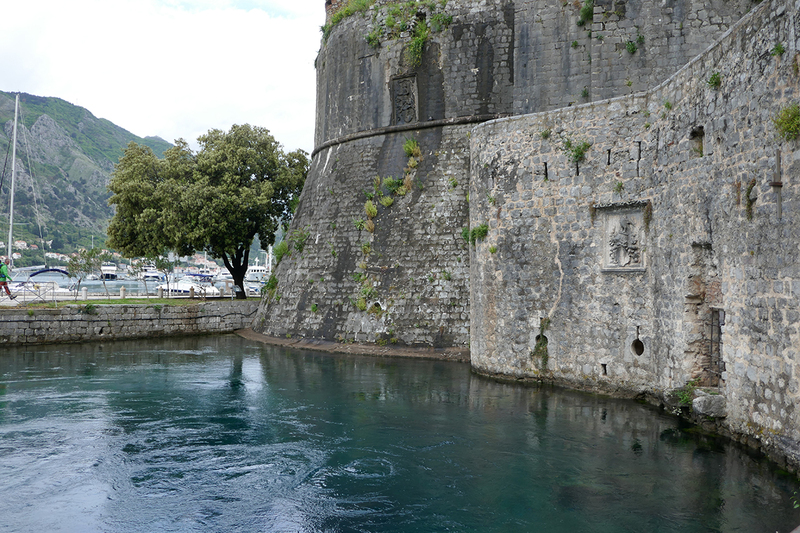 Climb the city walls of Kotor up to St. John’s fortress. Due to the weather at the start of the day, it was too inclement for us to do this trek. 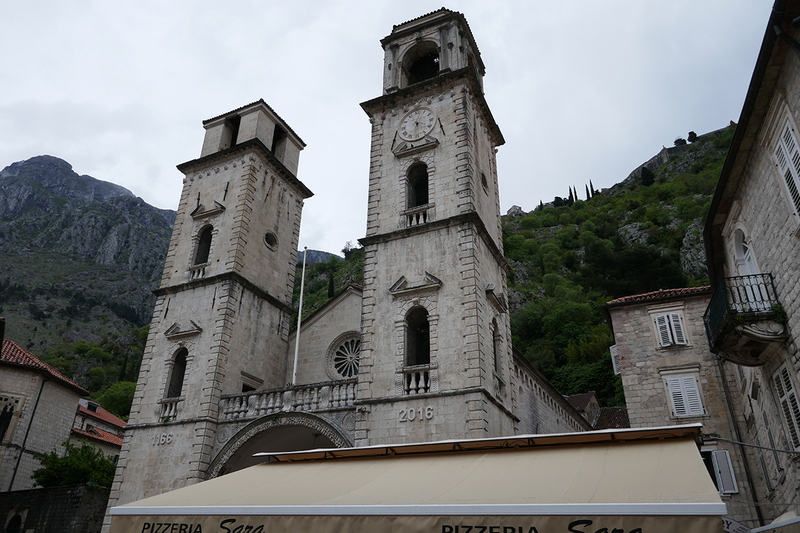 However, we have been told that you should start the walk from near Kotor’s North Gate and St Mary’s Church. This is apparently a strenuous 4.5 km walk along the city walls which are a mix of ramparts, gates, churches and fortresses. Their construction started in the 9th century, and in the 15th century they finally formed a full loop up into the hillside. A good place to have a rest is at the Church of Our Lady of Remedy. The walk will give you incredible views of the city. Romanesque and Gothic, the church was rebuilt after severe damage by an earthquake in 1667. This church has two altars – one Catholic and one Orthodox, but they were trying to charge 2 euro to look, and you shouldn’t have to pay to visit a church! Built in 1810 as a theater, and later the town hall. If you choose to stay in Montenegro, check out the latest prices here. If you want to know What to do in Kotor in Montenegro for a day, other than marvel at how tall the men in particular are, then we hope this helps you explore this pretty little place. Kotor is a marvelous and stunning city! I would love to cross it off my bucket list soon! It was a very beautiful place. Kotor is quite mystical actually. Wow! Your photographs are truly incredible. I had no idea Kotor was this beautiful! I especially love the look of those beautiful orange-ish roofs against the blue water. Incredible! It’s so funny that you noticed so many tall people – what were the first two countries with the tallest people?! It’s got a beautiful European-type (mixed with its own uniqueness) style! Love it! Definitely The Netherlands, they are tall. But I really noticed how very tall the people of Montenegro were; probably because I am not tall. What a gorgeous place to visit! We are heading to the Balkans shortly. Reading this makes me think that I should skip across to Montenegro if we can! Great post! While I know they are *technically* not fjords, those scenes from Kotor are straight out of fjordland in New Zealand or Norway. throw in the culture of the region and the history and you may have just convinced us. 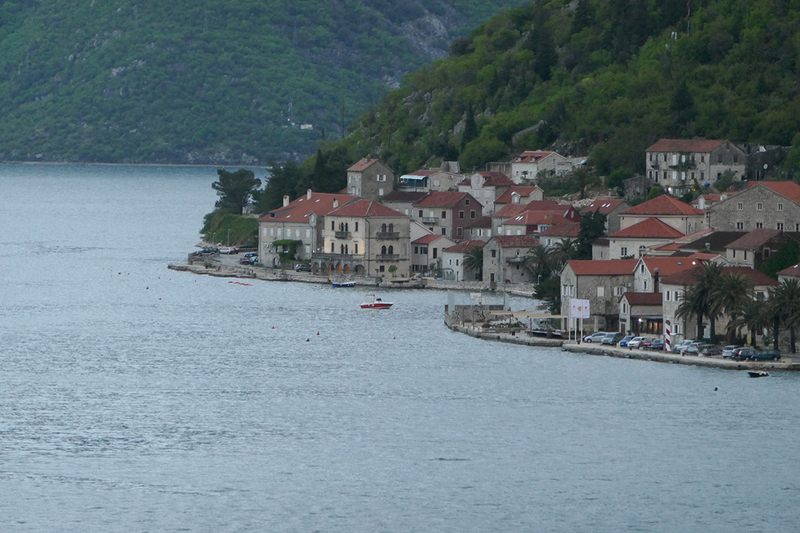 You are correct, it is the fjord-like Bay of Kotor, but still so very amazing. 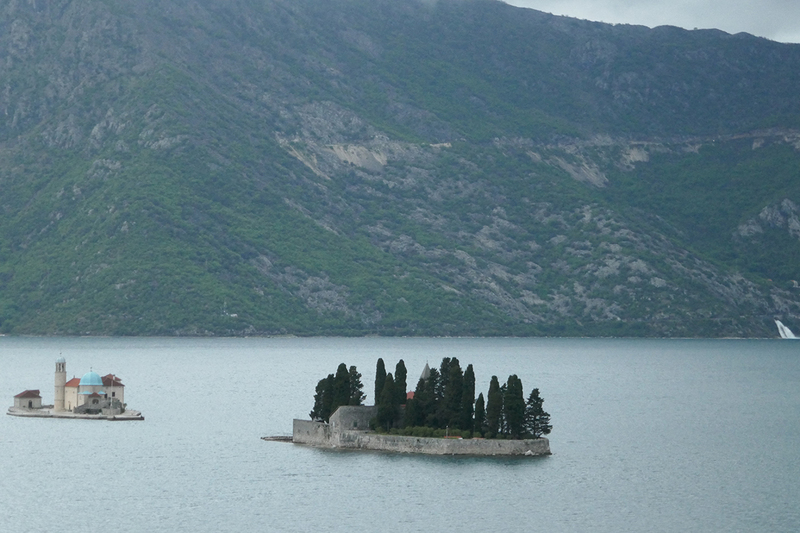 We did the fjord into Flam in Norway, which you can read about soon, but do visit Montenegro. Lovely. 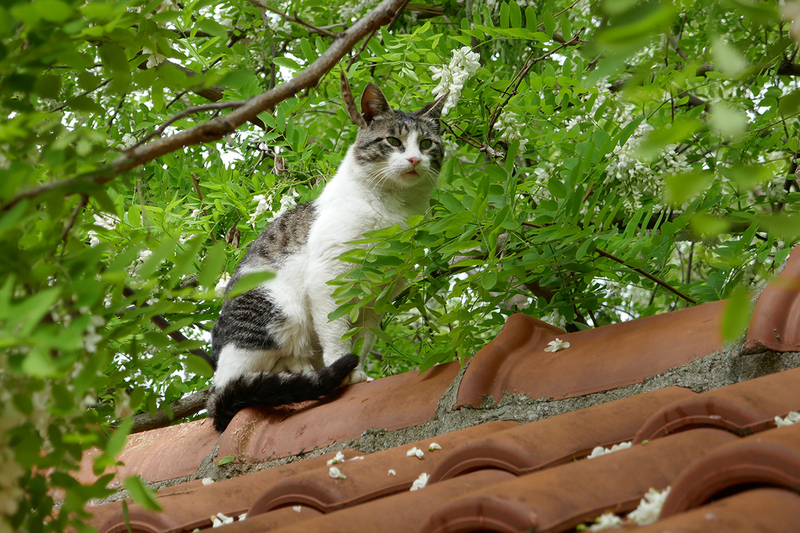 Great ideas to do all the things in a day and your cat is so cute. Thanks for valuable information. Thanks; had to get the cat. What a gorgeous town! I would love to experience the view coming in by ship. I love your cat photo. I don’t think I’ve ever been to a town I like that didn’t at least one or two resident cool cats. Kotor is lovely and the cat was cute. 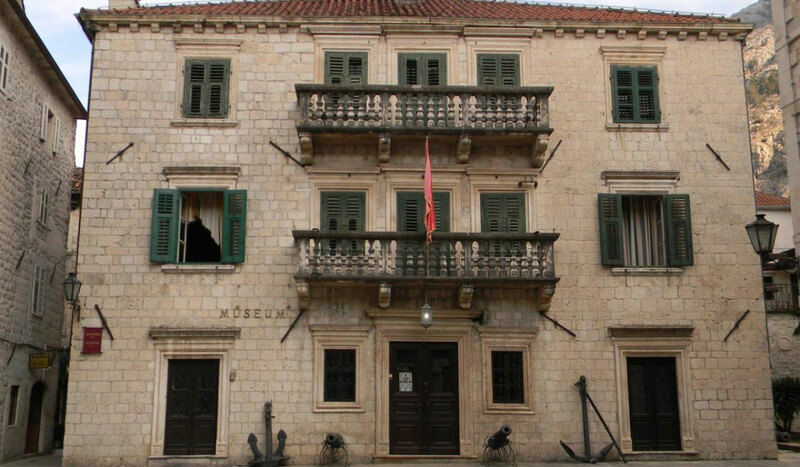 It looks like you need more than a cruise ship stop to see the best of Kotor. I say that cruise ships are a taster for areas that you can return to and explore in depth at another time. The area (and approach) do look beautiful. I agree, we certainly have a list of places we want to return to for extended visits, and others where a day was enough. Not fair, but with so many people cruising, towns and cities need to appeal instantly. We actually arrived a day ahead of you in Kotor, when the weather was really beautiful. We knew there was rain in the forecast, so we rushed up to the top of St. John’s fortress and I’m so glad we did. It was a long and strenuous hike, but we loved the views from up there and took some beautiful photos. 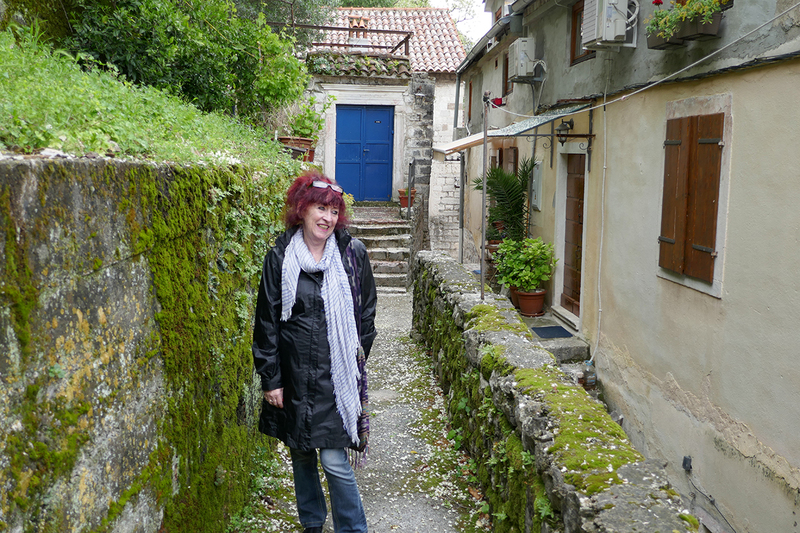 The next day the weather turned pretty bad, but we still enjoyed visiting Kotor, Budva and Sveti Stefan. What a shame me missed one another. You did get the better day at Kotor.